Scarf by Mara Snipes in Oakland, $110 / Level 99 Denim Shirt, $106 / Lila Rice earrings, $98 / Medina Made bag, $278 / All items sold at Stripe in Santa Cruz, Calif. Model: Leda St. John. Photos by Simone Vicenty. I absolutely love everything about this outfit (top image). 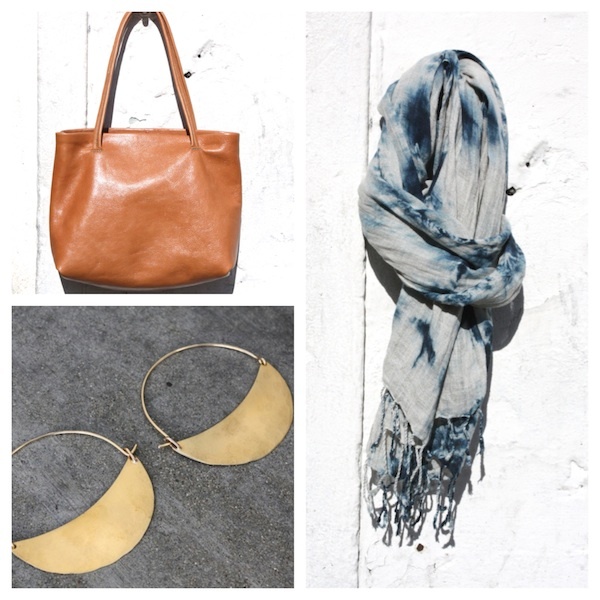 It's classy, feminine, minimal, but with a few bold statement pieces, and it's practical for everyday. That's why I picked these four items as my favorites for the week. 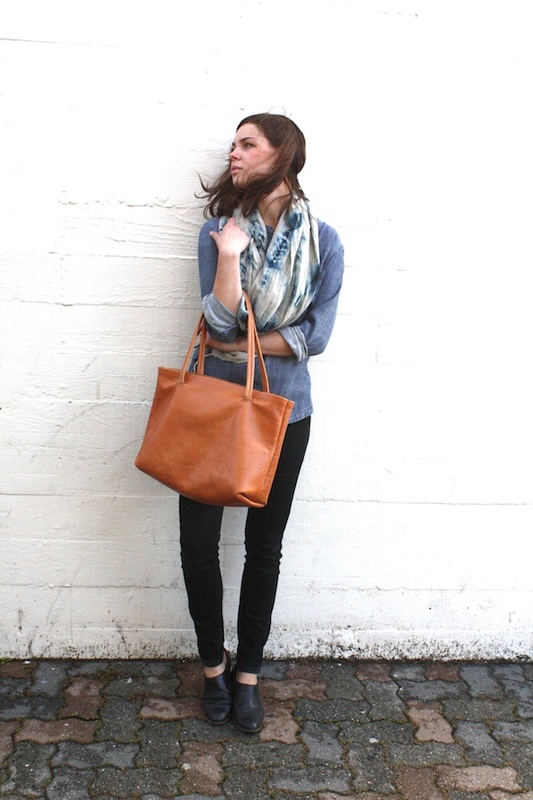 The black jeans and rich caramel leather tote (by Santa Cruz's own Medina Made line) are a beautiful color combination, and even more so when paired with a denim top and stunning handmade scarf that ties in the blue color. These earrings by Lila Rice are versatile and you'll wear them every day. As for me? My birthday is coming up and everything seen here will be on my wishlist.